Developers aren't working with the finished product, Harrison insists. Developers have been complaining about memory issues in the next console generation, and making unfortunate comparisons between the "weaker" Xbox One and its PS4 rival. 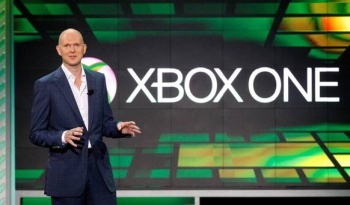 Naturally Microsoft isn't about to take this lying down, and Phil Harrison has stepped forward with an important message: it's not about who has the most gigaflops or teraflops. "It's all about having the best games and having the most impressive experiences, and clearly Xbox One has the best games," says Harrison, an argument which, you may recall, Harrison has made once before and no doubt will make again. But is Harrison about to concede the memory argument, with PS4 lording it over the Xbox One? Not quite; it's all very nuanced, says he. The developers aren't getting the full picture because they aren't playing with the finished product. "We can increase CPU and GPU capability on Xbox One," says Harrison, "so I think it's impossible to draw any conclusions from that based on pre-launch unfinished hardware and unfinished operating systems." Even having said that, Harrison continues to beat the Games Games Games drum. Content is king, and as Xbox One has the best content - claims Harrison - it will win out in any consumer contest with the PS4. Reuters would seem to disagree with that argument - according to a recent poll, US consumers prefer the PS4 - but it's early days yet, and the only way to know for sure is to sell the product. Sony's hoping for record breaking sales, and pre-orders for the PS4 are extremely high. Sony's Fergal Gara is very pleased with developer feedback so far. "The overwhelming thing is that developers are delighted with PlayStation 4," says he. "There's no glass ceiling in terms of what [developers] want to do, and it's easy to do it." November's looming. It's time to see what this console generation's really made of.